Earlier this month, Invisibilia celebrated its fifth birthday. As one of NPR‘s most popular podcasts, it deals with the invisible forces behind why we do what we do, think what we think, feel how we feel, and believe what we believe. 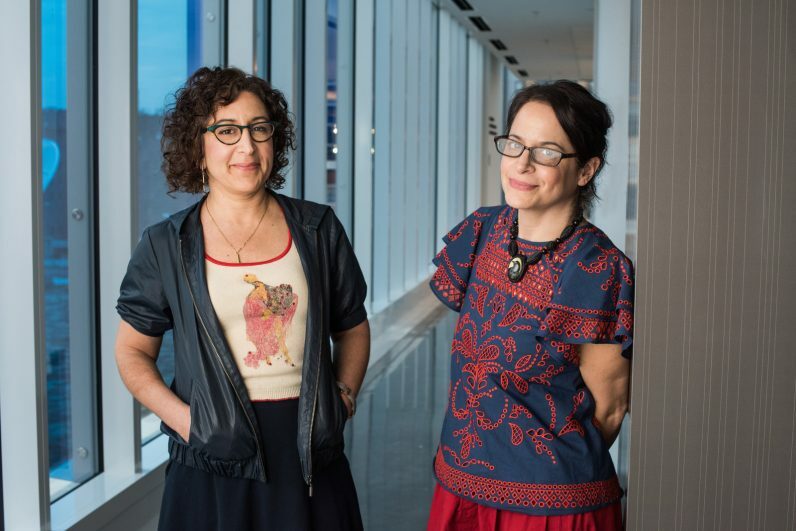 And despite tackling serious topics — its newest season promises to be an “emotional survival guide,” and its first episode focuses on pain — the tone remains light, as its two hosts, Alix Spiegel and Hanna Rosin, share their genuine fascination with the brain and its workings. Past episodes have answered questions like: Do you need eyes to see? Can pain cure pain? What happens when you daydream too much? Invisibilia is notably one of the few science podcasts entirely made, hosted, and run by women. When WBUR asked Spiegel and Rosin how this has shaped the show, they emphasized the importance of friendship to the show’s production. “We have a ride or die loyalty to each other’s intellectual obsessions, personal successes, goofball excesses, darkness, and joy, all of which gets reflected in the show that listeners hear,” says Rosin. Previous to the podcast, Spiegel and Rosin led award-winning careers in journalism. Spiegel began Invisibilia alongside NPR science reporter Lulu Miller in 2015. Previously, she covered psychology and human behavior for NPR‘s Science Desk for 10 years and was one of the founding producers of This American Life in 1995. She’s won a George Foster Peabody Award, a Livingston Award, an Alfred I. duPont-Columbia University Award, a Scripps Howard National Journalism Award, a Robert F. Kennedy Journalism Award, and more. Unlike Spiegel, Rosin came to podcasting through print magazines, and her most recent position was as a national correspondent on American culture for The Atlantic. She’s headlined a TED conference, authored two books, and was part of a team at New York Magazine that won a National Magazine Award for a series of stories on circumcision. This Monday, April 1st, Rosin and Spiegel are joining us to host a TNW Answers session. You can ask them ANYTHING on psychology, the brain, and how Invisibilia has managed to remain one of the most popular podcasts since its start.